The inability to get or maintain an erection can be emotionally taxing for you and your partner. You may not understand why or what is happening — especially if you’re in good health — and if it’s continuously happening it may be leaving your partner vulnerable and wondering if it’s something they’re doing. 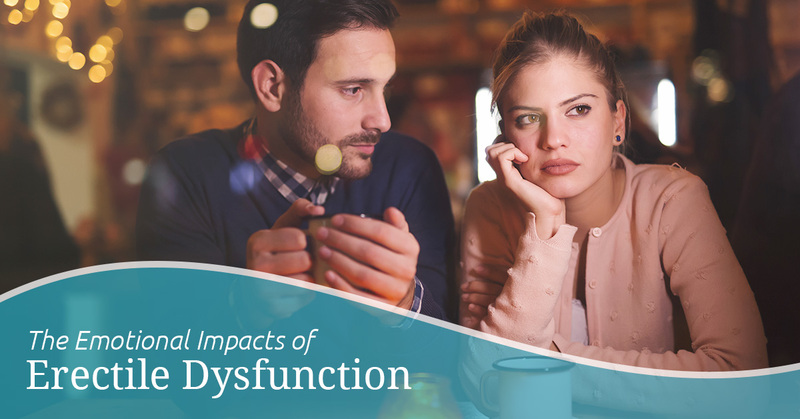 Approach this issue with authenticity and the willingness to discuss tough matters, and you’ll strengthen your relationship and address your erectile dysfunction (ED) appropriately. The most important aspect of erectile dysfunction is, though it is happening to you, it in involves your partner as well. This time and matter is frustrating, so the best thing you can do is engage in a dialogue with your partner. How do I discuss erectile dysfunction with my partner? The best approach in initiating a dialogue with your partner is to be open and honest. It’s very easy to want to blame yourself or even your partner, but realize neither of you need to bear the responsibility. Likely what your partner needs to hear — directly from you — is that it’s not their fault or something they’re doing. Never leave room for doubt to seep in, be clear in addressing what you have, in case they’ve come to a different conclusion. Since this is a sexual health matter, it’s easy to feel embarrassed and make light of what’s going on. Instead, aim to dialogue directly about erectile dysfunction so nothing is misunderstood. The best time to talk is when you’re both comfortable and in an open and conversational mood. The worst time to address ED is following a sexual encounter where ED impacted the situation. Don’t be afraid to go into detail about what’s happening and share how you feel. Keeping in mind that ED is a shared sexual is important, so talking with your partner openly and honestly create a space for growth and ideas for treatment. If you’re struggling with erectile dysfunction, GAINSWave may be an excellent option to help treat it!